Indigenous Grasses with Cycads and Aloes. Trees screening neighbouring house. 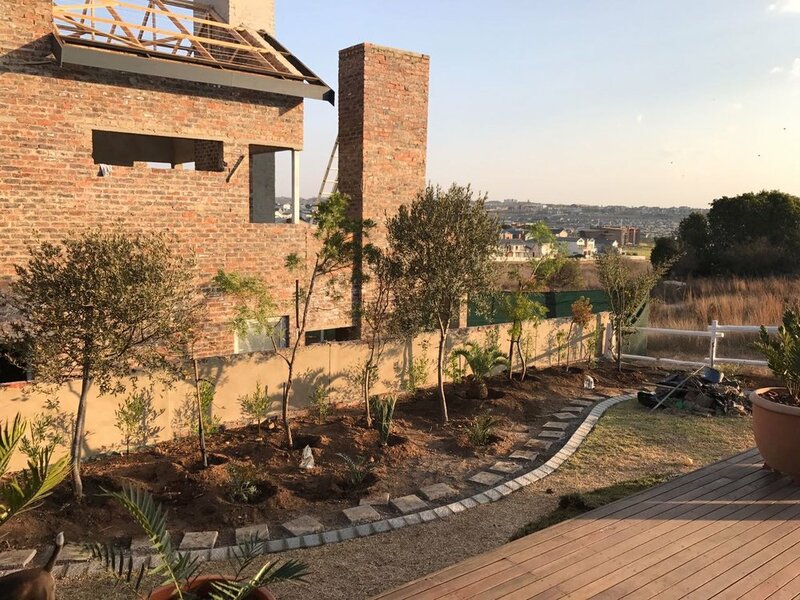 House E is a stunning example of the beauty that South African flora holds and makes use of indigenous grasses with several focal plants in between. 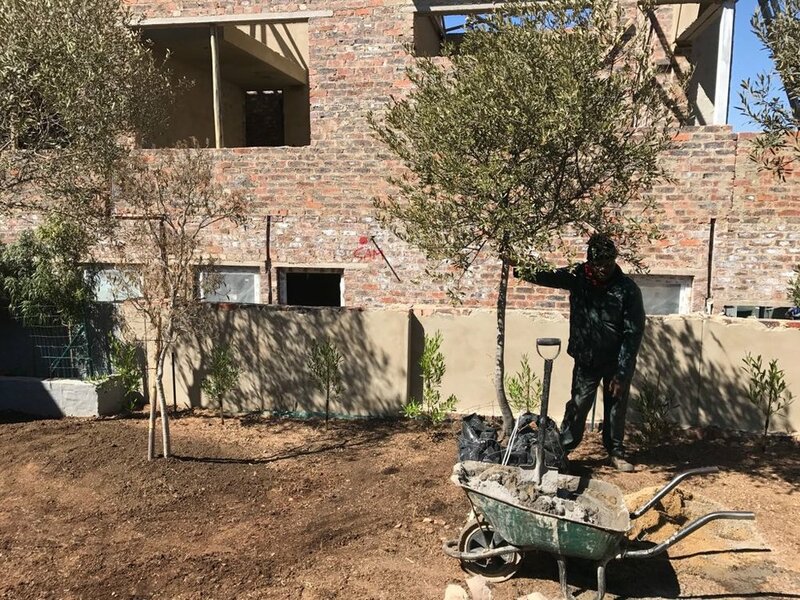 A grass mix including Aristida junciformis and Melinis nerviglumis was interplanted with several bulbs such as Ornithogalum thyrsoides, Dierama spp, Eucomis autumnalis and Eucomis comosa, which formed the main planting theme. Several feature plants grow out of the grass mix including Aloes, Proteas, Cabbage Trees and Cycads. 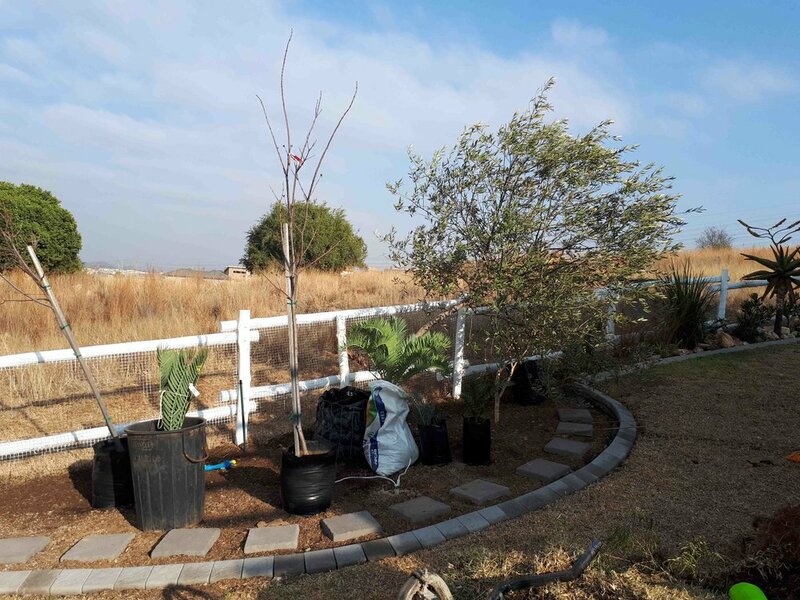 Trees: Large Olive trees were used as the primary screening elements which were interplanted with Loxostylis alata, Dombeya rotundifolia, Heteropyxis natalensis and Nuxia floribunda. Dais cotinifolia were also added as feature trees. 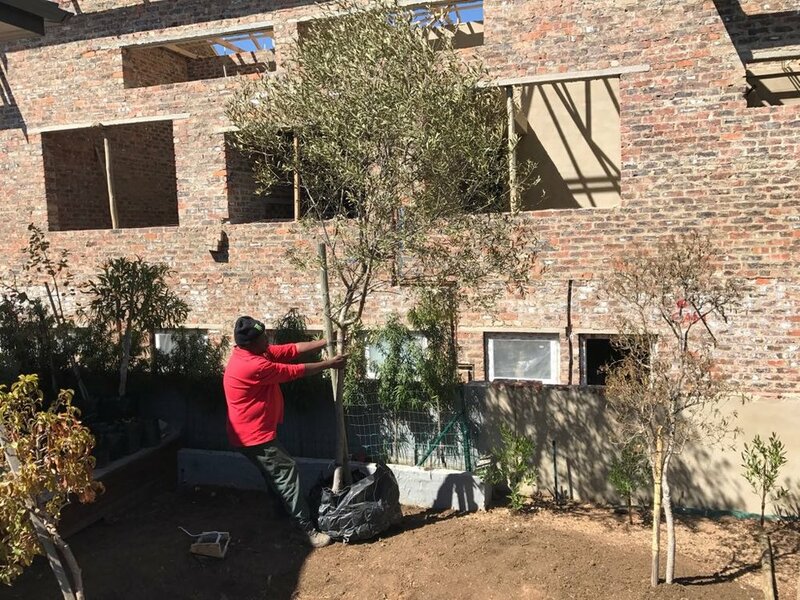 Shrubs: a screening hedge of Dodonea angustifolia created a green boundary and smaller shrubs such as Polygala myrtifolia, Coleonema alba and Euryops virgineus were added. 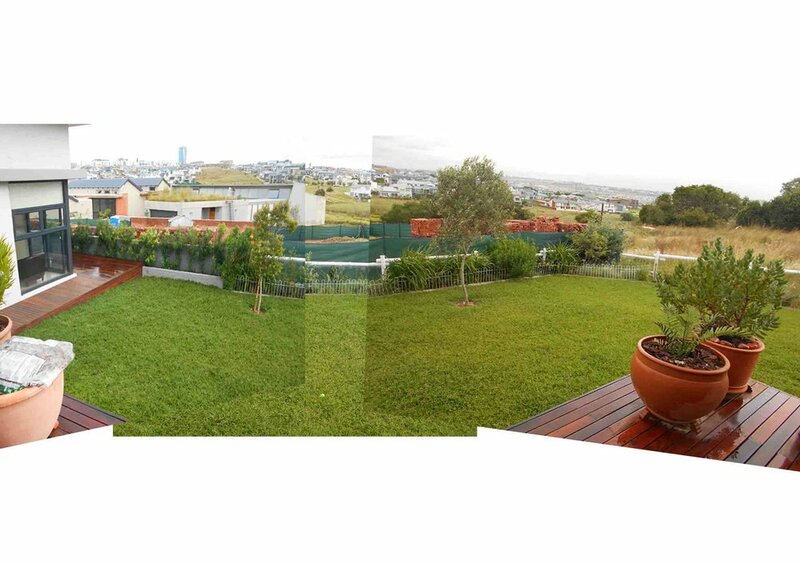 After Implementation and then the greener images are taken 4 months after installation. I always try put more emphasis on choosing plants according to their foliage for a landscape rather than choosing plants based on their flowers. Flowers only last a short season, but foliage lasts all year round. Don’t get me wrong, I love flowers and always add flowering plants to my designs but they are not the skeleton of the design. It is the texture - size and shape of leaves - that add variety and interest. Grasses are wonderful at adding texture with their long flowing shapes that move in the wind. So are Kniphofias, Aloes and various succulents with different leaf shapes and colours. Bulbs (Eucomis, Crinum, Crocosmia) interplanted between grasses add interest and seasonal variety. Every year that my bulbs come up I am unexpectedly delighted! Eucomis zambeziaca - Pineapple Lily. There are several Eucomis species, such a rewarding Bulb! I love combining plants that have large leaves with ones that have small, fine leaves. Succulents are a great choice as they are waterwise and require little water. They also withstand harsh weather conditions and will not die easily. Certain deciduous plants (Eg: Tree - Combretum krausii) turn gold, yellow and red before losing their leaves. This also adds seasonal interest and shows the changing of time and seasons. Rhus burchellii - don't you love that curved leaf?